Designed by Mike McClelland and SPRO; the Rock Crawler MD 55. It delivers the same wide-wobbling, hunting and grinding action of the original RkCrawler and is ready to cover the shallower portion of the water column. 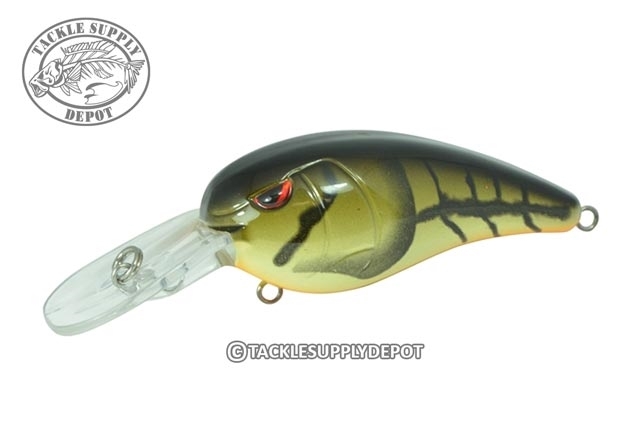 Based off the actions and qualities of the classic crankbaits McClelland grew up using on lakes like Table Rock, Bull Shoals, Grand, and Beaver, the RkCrawler MD 55 runs in the 4-8 foot range and deflects off of cover like no other plug to trigger aggressive reaction strikes. Just hit the rocks and the RkCrawler MD 55 does the rest. Most crank bait anglers know that deflection is the deal and the new RkCrawler MD 55 takes advantage of a predators built in instinct and turns those natural instincts into secure hook ups.